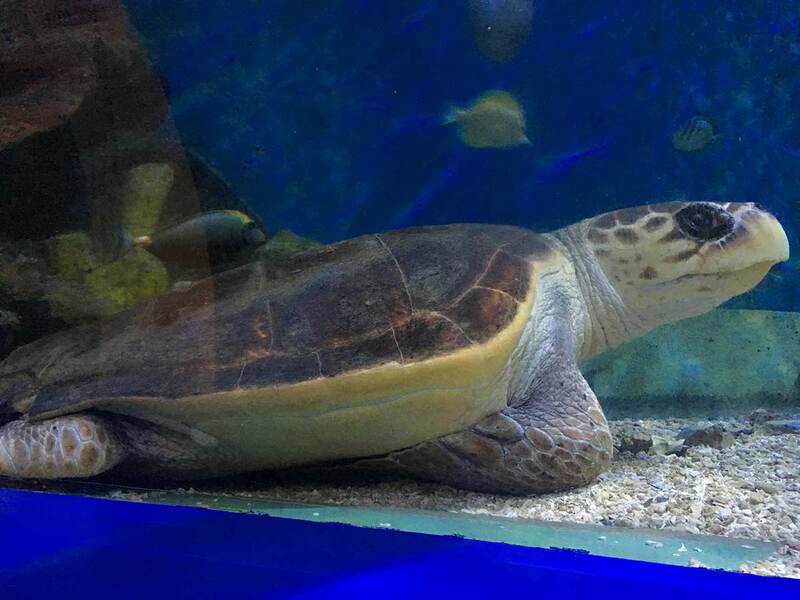 Newquay Blue Reef Aquarium overlooks Towan beach and the famous island with its private suspension bridge. The opportunity for a full day of entertainment is particularly hopeful when the sun shines! It was a child-focused day out with a friend, her baby and our two 5 year olds. We had to have something that would capture their imaginations and keep them entertained. Having kids is the perfect excuse to visit some of Cornwall’s attractions I’ve never seen before. I didn’t know what to expect, having never been to an aquarium before, but there were so many fabulous creatures to see. 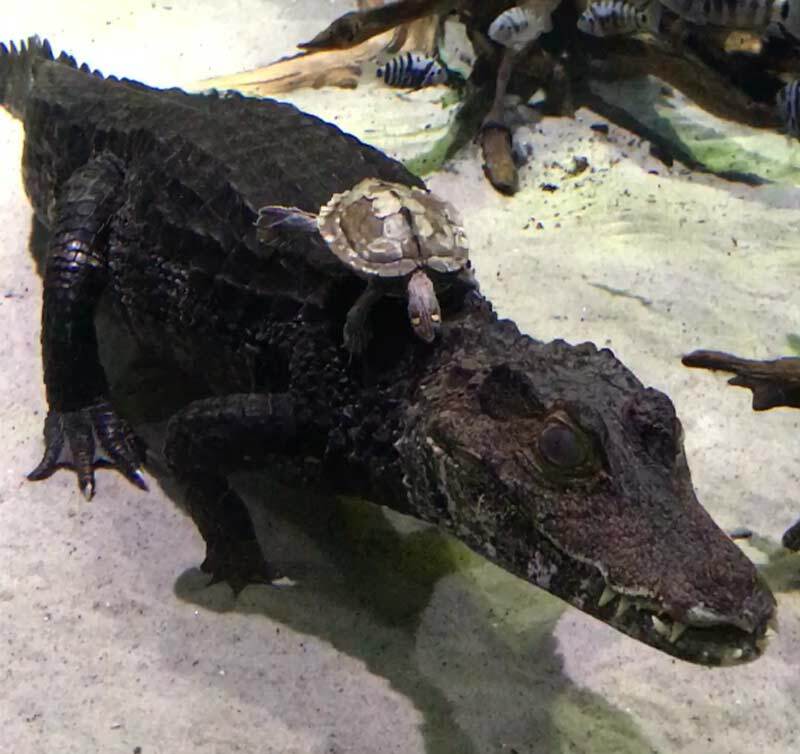 We saw the Caiman crocodiles, a huge octopus and a turtle amongst many other species. We watched the Amazonian feed and listened to the talk about the Cuvier’s Darf Caimans called Nibble and Colonel Sanders. Luckily as they only feed every 2 days we got to see them eat trout. Nibble, aged 16, was smuggled in to Heathrow in a suitcase many years ago, he has quite a colourful past! The largest tank had a beautiful rescued loggerhead turtle called Omiros who is 35 and weighs almost 100 kg peacefully doing circuits in the water. I wasn’t expecting it to be quite as big with a great variety of fish/creatures. It was a great day out for all of us. It’s cheaper to buy the tickets online and you can do this up to 1 hour before you enter. Check the time of the feeds/talks before you go so you don’t miss any. The aquarium has a café and a shop. There are plenty of lifts for disabled access or pushchairs. If you are only staying up to 2 hours you can use Fore Street car park. For longer stays use St George’s car park. 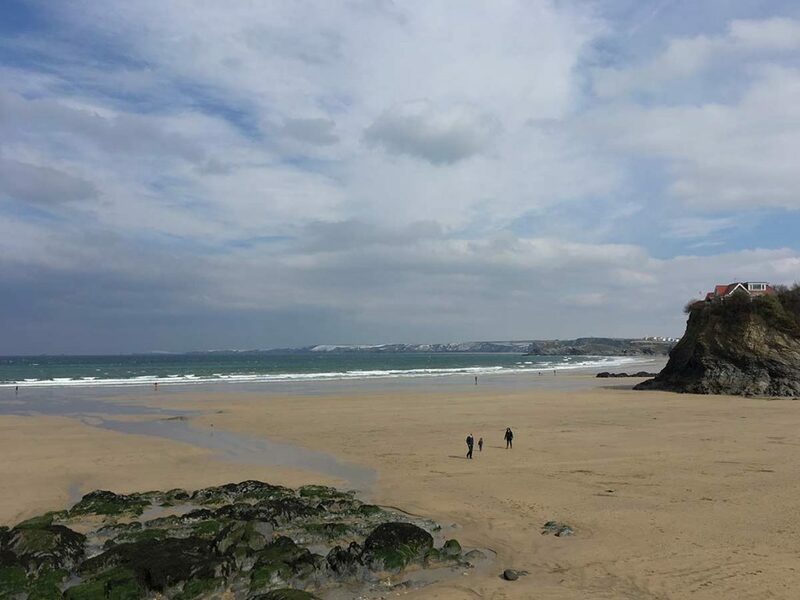 In the summer you could pack a picnic and pop onto Towan beach after the aquarium and make it a full day. My 5 year old is already asking when we can visit again so this will be the plan for the next visit. Blue skies at Towan Beach. 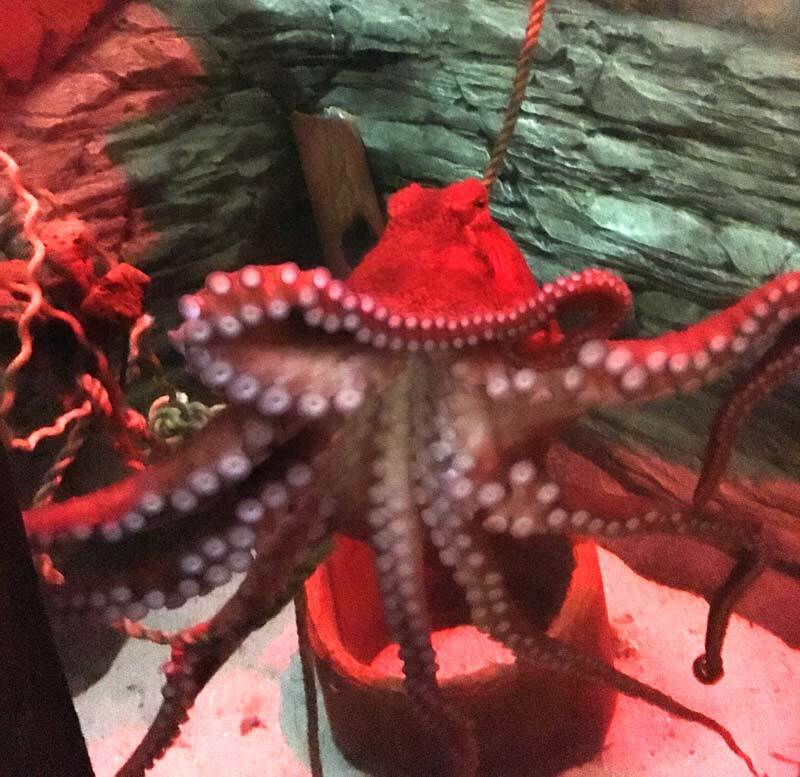 About the author: Hailee is customer service administrator and visited Newquay Blue Reef Aquarium in March 2018. For her next day trip she is going to walk the Fowey "Hall Walk".